Witness the peak of tail fins on a Cadillac, gentlemen—never mind the double taillights. The hardtop version came with four doors, but this convertible keeps it stripped down with two. Under the hood there’s a six-litre V8 and a four-speed transmission. 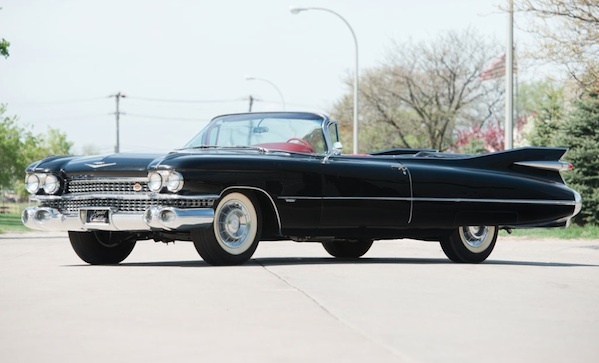 This 1959 Cadillac Series 62 Convertible is going on sale on July 26—if you’re bidding, expect to drop at least $130,000.